One of our most popular requests is for a running cap style that is customizable for a promotional run. Are you having an event that will have attendees walking or running for charity or a benefit? 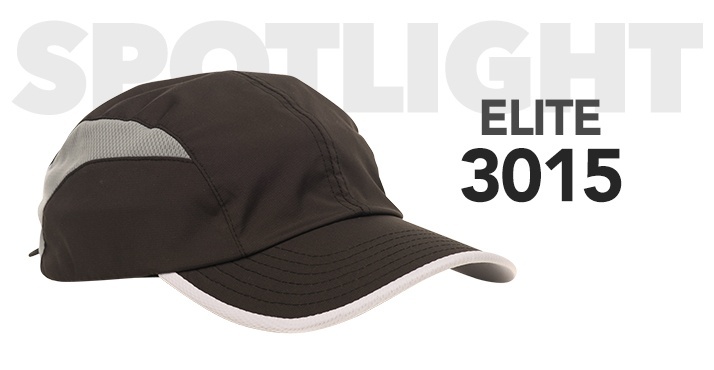 Then the 3015 Elite may be the hat you are looking for, and it's this month’s product spotlight. The 3015 Elite is an unstructured, low profile runners cap. Made with polyester and poly, it has mesh vents for breathability. This style also features a moisture wicking sweatband, active wearers will benefit from this feature. Worried about sizing? The Elite features a velcro closure to fit nearly any size head, a perfect convenience when you have a large event with a lot of visitors. You can select either a black or white color, creating a neutral canvas for your logo or design. Do you have an idea for a client or promotion that can take advantage of the Elite? We can always send you a sample to review. Do you have any questions or would you like to speak to a designer about customization possibilities? We are always looking for the best products to match the latest trends and requests from our diverse clientele. Our designers ensure that every product is customizable as much as possible. We employ embroidery as well as a range of other creative customization options (learn more) to bring all your design ideas to life. With all custom services done in-house, we work to provide excellent turn around for your next project. Click here to find out why so many companies trust Continental Headwear!